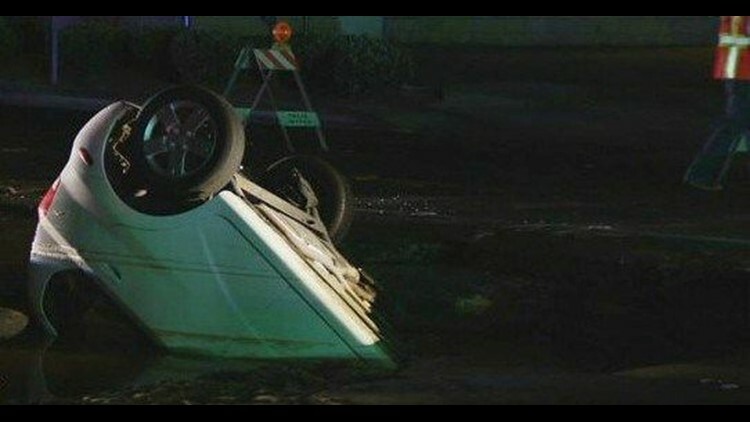 A car fell into a sinkhole caused by a water main break Monday night in El Cajon, but the driver was not injured. EL CAJON (CNS) - An El Cajon intersection where a broken water main caused a sinkhole to swallow a car was reopened to traffic Tuesday morning, minus one lane where repairs were still underway, authorities said. Northbound Johnson Avenue was expected to reopen sometime Wednesday. 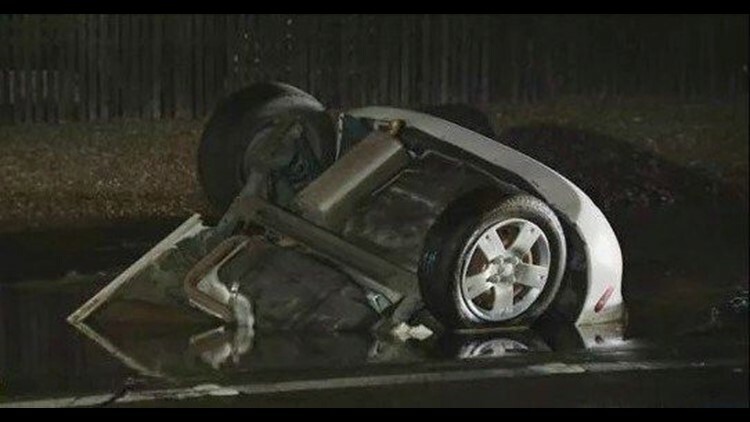 The car went into the sinkhole Monday night at the juncture of Johnson and Vernon Avenues, but emergency crews were able to rescue the unnamed driver before the vehicle became mostly submerged in water, El Cajon police Lt. Randy Soulard said. The intersection was shut down into Tuesday morning, but was reopened to most traffic by about 9:15 a.m., city spokeswoman Monica Zech said. The northbound lanes of Johnson Avenue remain closed until Helix Water District crews finish repairs. The main break was reported at 8:37 p.m. Monday, and police barricaded the intersection. While officers were on scene, a driver in a compact car maneuvered around an emergency vehicle and entered the blocked-off intersection, causing the asphalt of the weakened roadway above the water main break to give way, Soulard said. The driver and officers who helped rescue the motorist from the sinkhole were unharmed. Repair crews from the Helix Water District worked through the night to remove water from the sinkhole and began making repairs to the broken main Tuesday morning, Zech said. Five businesses in the area were left without water and were not expected to have service restored until 1 p.m. Tuesday, at the earliest. There was no estimate on how long it would take for repair crews to finish their work and reopen the northbound lanes of Johnson Avenue. Raw Video: Repair crews from the Helix Water District work to remove water from sinkhole Tuesday morning.